Did you know there is a standard way of talking about risk? 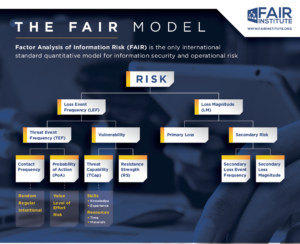 Factor Analysis of Information Risk (FAIR) is the only international standard Value at Risk (VaR) model for cyber security and operational risk. The FAIR model is broken down into an ontology to demonstrate how key elements constitute risk to an organziation.